The Verdict: Roomba 650 or Roomba 860? Irobot and Roomba have come a long way since their launch in September of 2002. They have solidified themselves in the niche as quite possibly the best robot vacuum manufacturer on the market. However, they do have a wide range of products which can leave consumers feeling a bit overwhelmed when deciding which one to buy. We created this side by side comparison to help you choose between two of Roomba's arguably most popular models, the Roomba 650 and the Roomba 860. To spare you the nitty-gritty details here's a quick summary of what you need to know. The Roomba 650 was introduced in 2012 and replaced the 500 series machines. It took the reins as Irobot's entry level, budget friendly robo-vac option. Similarly, the Roomba 860 was released four years later and signaled the end of the 700 series. It gave consumers maintenance-free extractors which were previously only available on the significantly more expensive Roomba 880. You can read all the details of this post if you want to know everything, but here's what's important, and what you probably came here to find out. The Roomba 650 is marketed toward budget-conscious consumers. Get this one if this is your first robo-vac. It will get the job done but lacks some of the fancy features and power that come along with the higher price tag of the 860. ​The Roomba 860 can do everything the 650 can do. But, it has stronger suction, a more intuitive design, an extended battery life, and is generally a better value if you are looking to make a more long-term investment. If you have pets or issues with hair, the tangle-free brushes of the 860 make it worth the few extra bucks. The Roomba 650 is a basic, entry-level robot vacuum. It does everything you expect it to do, such as pick up dirt, hair and other debris, navigate your home, and allows for scheduled cleaning. An improvement over the 500 series, the Roomba 650 sports an updated brush design which allows this model to clean in tighter spaces than previous models. One big difference between the Roomba 650 and other comparable models in the same price range is that the 650 comes with virtual walls. This means you can set boundaries where your Roomba cant go, such as a kids bedroom, stairway, or an area where it may have trouble navigating out of. Aside from the virtual walls, the Roomba 650 is pretty basic. It will get the job done. It has decent suction which can handle carpet, tile and wood floors. It does lack the improved navigation and suction power you get with the the 860, but is a great entry-level option regardless. Side Note: If you have hardwood floors, you may need a vacuum that is gentle enough to not damage your floors. Check our our post about the best cordless vacuums for hardwood floors to see the best choices for hardwood. The Roomba 860 is often called "The best Roomba for the money." It earned this title because it packs a bunch of features but still manages to come in at a manageable price point for most households. The Roomba 860 comes with a 3-stage cleaning system which is consist of brushless extractors (no hair tangles, yay! ), HEPA vacuum, and airflow accelerator. The Roomba 860's most significant improvement over previous models is that brushless extractor we mentioned above. You used to have to pick, pry and cut hair from the rotating brush of the 700 series robots, which isn't a fun job. You can damage your machine if you aren't careful, and it can get messy. The Roomba 860 swaps the rotating brushes for two rubber rollers. These rollers have tiny feet which when spinning, kick the dirt off of the floor and into the suction area. They don't just improve cleaning ability though. These rollers make maintenance almost non-existent and can extend the life of your Roomba. It also makes the Roomba 860 an EXCELLENT choice if you have a hairy household. Due to the design, pet and long human hair won't get stuck. 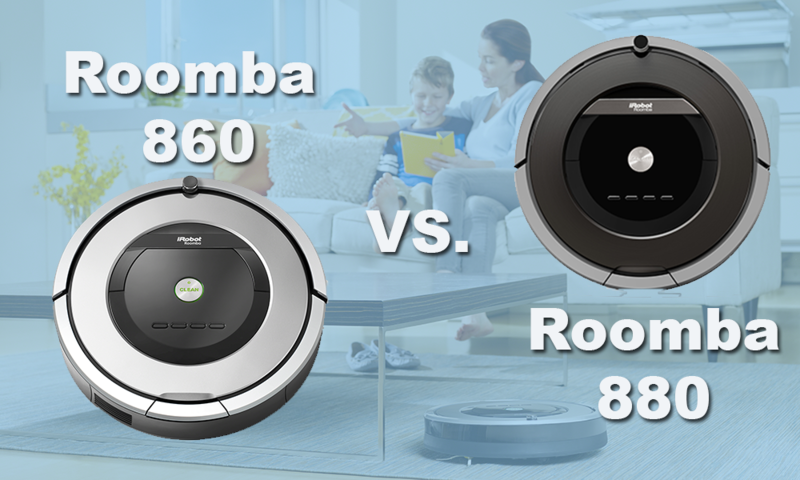 If you want to see how the 650 compares to another popular 800 series Roomba, check out our post on the Roomba 650 vs 880. Sometimes its easier to decide between two products if you know how they are similar, and how they are different. In the following section, we will break this down for you piece by piece. Both the Roomba 650 and the Roomba 860 have the essential features you will find in all Roombas. This includes IAdapt navigation, spot cleaning, and returning to their base automatically. The IAdapt navigation uses software and a suite of sensors to help your Roomba determine where to clean next, as well as avoid dangerous areas such as stairs. The spot cleaning ability allows the Roomba to focus on a tight-radius area to clean up messes or things such as cat litter near the litter box. This mode forces the Roomba to stay within a 3-feet diameter area for a set period before going back to its original location. 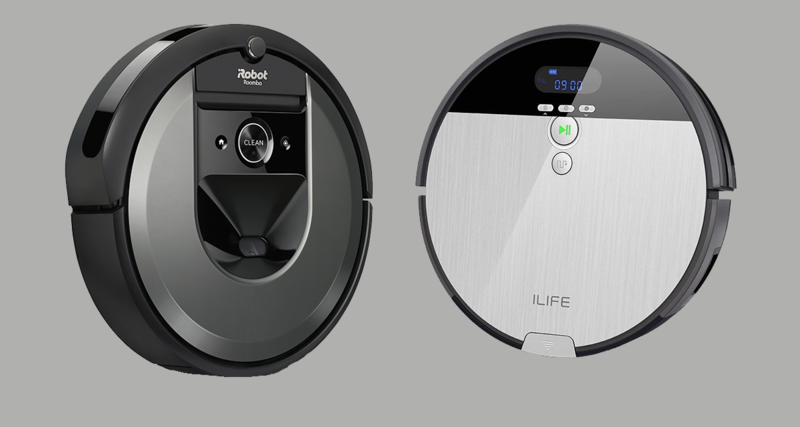 On the outside, these two Roombas are quite similar. They both have a 13.9-inch diameter and are 3.6 inches high. They will have the same ability to maneuver around and under furniture. Both the 860 and the 650 are missing some features that come with the more expensive models, such as carpet boost mode. This mode allows your Roomba to ramp up the power to 10x normal to provides increased suction on carpeting so you can get deep down dirt. Additionally, they both lack a specific edge cleaning mode. However, they do both have side brushes which can help bring dirt from the edges of walls into the suction area. They also both lack an onboard camera for better navigation ability, as well as wifi connectivity. If these features are important to you, you may want to opt for the 960 model. The most apparent difference between these two models is the price. While the gap isn't huge, there is about a $150 price difference between the two. Price and value are not the same things though, so if you can manage to find a sale on the 860 that puts it even closer in price to the 650, jump on it because the 860 already a better bang for your buck, a sale on top of that should be a no-brainer. The Roomba 650 utilizes the more cost-effective AeroVac technology. This means it has enough power to tackle most messes from dirt, to hair and small debris. The Roomba 860 on the other hand, uses AeroForce. Put simply; this is more powerful suction. It is the technology found in the higher-end models such and the Roomba 980. It allows for up to 5x more power than AeroVac. The Roomba 650 uses the standard AeroVac filters which can catch lint, hair, and dirt without any problem. The Roomba 860 uses a more advanced, high-efficiency HEPA filter. This can be a great feature if you or someone in your family has allergies. It can vacuum up particles as tiny as 0.3 microns. While this won't make a massive difference to a lot of people; if you have allergies you know all the little things add up. It can help with seasonal pollen allergies as well as issues with pet dander. The Roomba 650 does not have the full bin indicator that the 860 has. This simply tells you when you need to empty the bin so your vacuum can keep cleaning. This feature is merely for convenience and preference. I usually empty my bin after every cleaning cycle to prevent clogs. The Roomba 650 uses a nickel metal hydride battery, whereas the Roomba 860 uses lithium-ion. This means that your 860 will have more life cycles than the 650 and will need to be replaced less frequently. This also means that the Roomba 860 will have more run time than the 650, which allows it to clean more effectively, especially if you have a large home. The most significant pain point with the 650 is its inability to deal with clogs and jams. The 860 comes with tangle-free debris extractors, which is something you usually only see in more expensive models. The extractors job is to break down dangerous debris, such as hair, which are otherwise likely to cause a jam. Side Note: If you have issues with keeping pet hair under control, we wrote an entire post on best robot vacuums for pet hair. Learn more. If you are looking for value, the 860 wins hands down. You get a ton more useful features for not much more money. It is a better long term investment and will save you the headaches of vacuum maintenance. It will last you longer, has a better battery and more intuitive features. It comes in at a cheaper price point than the 900 series vacuums, but include most of what they offer. However, the need to have these features depends on your situation and your lifestyle. If you have a small home and no pets, you don't need all the extra features that come with the 860. You're better off saving yourself the money and opting for the Roomba 650 instead. It is an excellent entry-level robot vacuum that can handle everyday messes without a problem. In short, if you're the type of person who is just looking to clean up small messes and cut down on the amount of time you spend vacuuming and sweeping, the 650 will do that for you. If you have kids or pets and need more from your Roomba, the 860 is a better value and overall better investment; you just have to be able to get over the slight price jump. I love my Roomba 860. Once you buy any robot vacuum, it's very hard to go back. They are a game changer. They will keep your floors clean, so it's one less thing you have to worry about in your hectic life. Which Roomba model are you going to go with and why? Let us know what features you're looking for in the comments section below. If you're not sold on either of these, check out our roundup post for the best vacuums of 2018 to find the perfect vacuum for your home. Learn More. 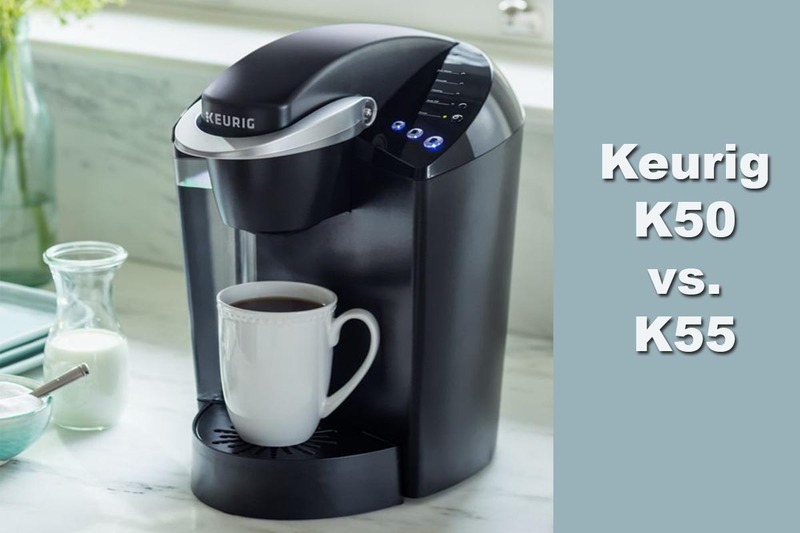 Previous post K50 vs. K55 – Which Coffee Machine is Better?